With the release of The Evolution Of Anger, their second album for Victory Records, modern metal trailblazers SHATTERED SUN have unveiled the video "Hollow Chains". Perfectly outlining the demise of cultural and social consciousness, the video also exhibits the ferociousness SHATTERED SUN are known to deliver on stage. Watch “Hollow Chains” now on KNAC.COM right HERE. 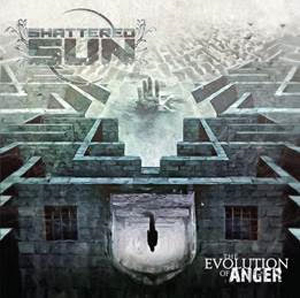 SHATTERED SUN will channel their fury to the stages beginning with a hometown album release show on July 20 with label-mates DARKNESS DIVIDED, and then joining the 2017 Vans Warped Tour on July 26 outside of St. Louis, MO, and rounding out the tour on its final date in Pomona, CA on August 6. Additional dates supporting The Evolution Of Anger will be announced soon.